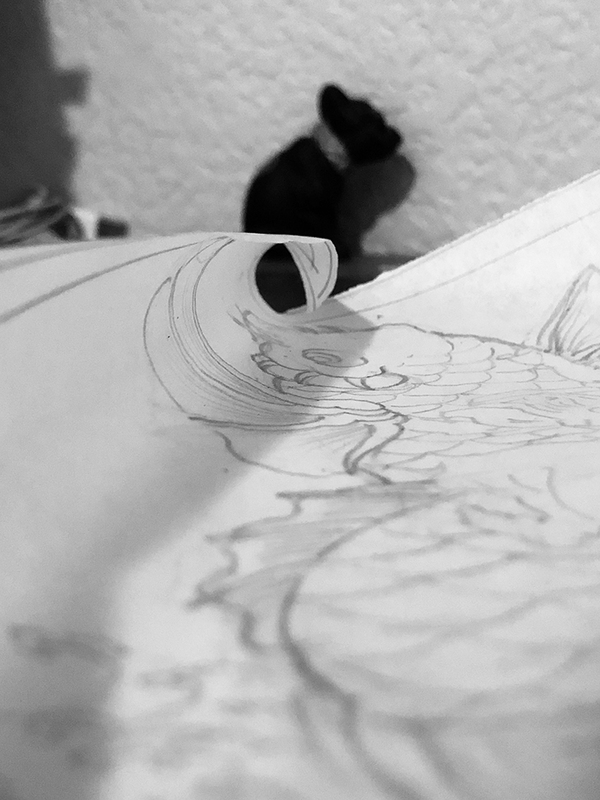 Currently, drawing a new back-piece design that will double as a painting for the studio. I’m referencing the standards, an image originally drafted by Utagawa Kuniyoshi. He’s considered, by some, to be the Godfather of the Japanese tattoo. 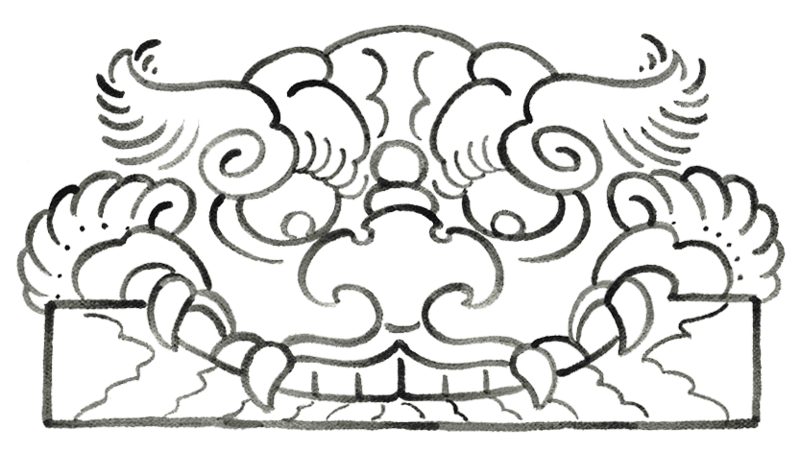 The scene is that of a youthful character, Oniwaka-maru, battling a giant carp. It’s a classic in Japanese folklore and based on the real life character of Musashibo Benkei.